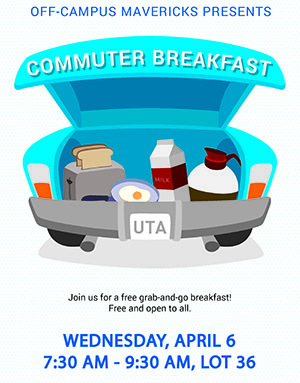 More than 1,300 UTA students, faculty, and staff will give their time and energy to Arlington and surrounding cities during the 16th annual The Big Event 9 a.m.-1 p.m. Saturday, April 9. Register to volunteer for the few remaining projects. The day is designed for people wanting to make a difference in the community through various volunteer opportunities. 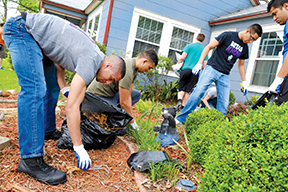 Community-based and nonprofit organizations and agencies, as well as local residents, will benefit from the volunteer efforts, including those that provide services to children, senior citizens, and families in low-income neighborhoods. Read more about the Big Event 2016. U.S. News & World Report has ranked more than 20 graduate programs at UTA among the nation’s best in the magazine’s 2017 Best Graduate Schools edition, released this month. UTA has top 100 graduate programs in seven colleges and schools including engineering, nursing, science, architecture, planning and public affairs, and social work. The three graduate-level degree programs ranked in the top 50 in the nation are online graduate education in the College of Education at No. 30; the graduate social work program in the School of Social Work at No. 38, up six slots since the last survey in 2012; and the graduate program in aerospace/aeronautical/astronautical engineering in the College of Engineering at No. 39, up four slots since last year. Read more about the U.S. News graduate rankings. 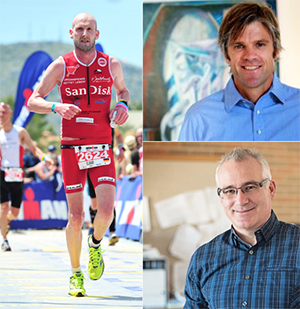 Heart to heart: Ironman and heart transplant recipient Elmar Sprink, left, and sports cardiologist Dr. André La Gerche, top right, are speakers at the Inaugural Moritz Speaker Series next week. 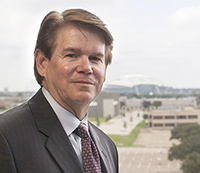 Dr. Mark Haykowsky is UTA's Moritz Chair of Geriatric Nursing Research in the College of Nursing and Health Innovation. Two internationally known figures in sports cardiology will be speakers at the Inaugural Moritz Speaker Series 4-6 p.m. Tuesday, April 12, in the Lone Star Auditorium of the Maverick Activities Center. Elmar Sprink of Germany returned to triathlon competition—running, cycling, and swimming—after a heart transplant in 2012. He has been called the fittest heart transplant patient in the world. Sports cardiologist Dr. André La Gerche of Australia is credited with developing a novel cardiac MRI test that can examine the function of the left and right ventriculars—the main pumping chambers of the heart—of athletes and cardiac patients while they are performing maximal cycle exercise. The series is supported in part by a generous gift from the Moritz family to the College of Nursing and Health Innovation. The gift established the college’s first endowed faculty chair, held by Mark Haykowsky, an exercise physiology and rehabilitation medicine researcher who joined the college last fall. Read more about the Moritz Speaker Series. 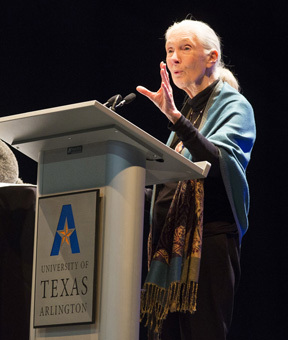 Primatologist Jane Goodall shared her experiences of living among primates and her conservation efforts at the last Maverick Speakers Series event of the year. See more photos and watch a video recap. University Tutorial and Supplemental Instruction (UTSI) is looking for motivated students to become tutors and SI leaders for fall 2016. Tutors and SI leaders are personable students who successfully earn As and Bs in their courses and want to share their knowledge with their fellow Mavericks. The next Involvement Fair is at the New Maverick Orientation for transfer students Thursday, April 14. 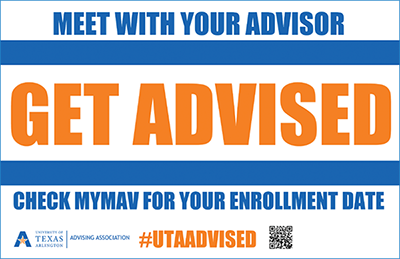 Visit uta.edu/sao to register and for details. Enjoy an evening at Six Flags Over Texas with discounted tickets that help Arlington schools. 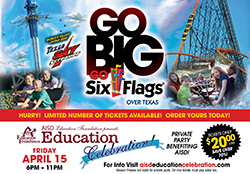 The theme park hosts Education Celebration 6-11 p.m. Friday, April 15, benefiting UTA and AISD through the AISD Education Foundation. Tail Waggin' Wednesday Students, faculty, and staff can take a break filled with unconditional love from registered therapy dogs. Free. 10 a.m.-2 p.m., sixth floor, Central Library. UTA Libraries. 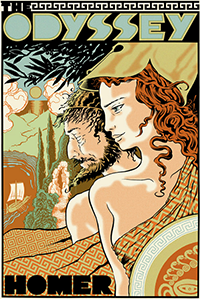 Homerathon A public reading of Homer's epic poem, The Odyssey. Text in English available in Room 305 of Carlisle Hall. Recitation in Greek and other arcane languages is encouraged. Homerathon T-shirts and coffee mugs for sale. Register to participate. 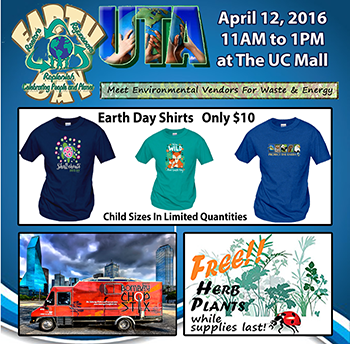 7 a.m.-10:30 p.m. Thursday, April 14, University Center mall. Philosophy and Humanities. Arlington Technology Association Arlington Mayor Jeff Williams right, describes areas he believes are prime collaborative opportunities that would be beneficial to both the city and UTA. RSVP. Free. 7-8 a.m., Room 100, Nedderman Hall. Arlington Technology Association. Adventures in Antiquity Symposium Christopher Fuhrmann of the University of North Texas, Police Brutality in the Roman World. 3:30 p.m. Thursday, April 21, Room 2102A, Fine Arts Building. Philosophy and Humanities. Champions honored: Watch a recap of the rally and reception for the Lady Movin' Mavs wheelchair basketball team, winners of the National Wheelchair Basketball Association championships. Maverick baseball takes on TCU at 6:30 p.m. Wednesday, April 6, in Fort Worth. The game vs the nationally ranked Frogs will be aired on FSSW+. UTA fell to Georgia State 8-7 Sunday. The Mavericks are 16-13 for the season and 4-5 in league play. UTA's softball team returns to nonconference play against UNT at 6 p.m. Wednesday, April 6, in Denton. Appalachian State won 4-3 Sunday at Allan Saxe Field. The Lady Mavs are 25-7 overall and 4-5 in conference play. The women's tennis team earned its fourth sweep in the last five matches after downing UT San Antonio 4-0 Saturday at the UTA Tennis Center. The Mavs are 12-3 on the season and pushed their home winning streak to 21 matches. The team plays SMU at 2 p.m. Thursday, April 7, at the UTA Tennis Center. The men's tennis team faces Midwestern State at 2 p.m. Saturday, April 16, at the UTA Tennis Center. The men's golf team wraps up competition today at the Old Waverly Collegiate Championship hosted by Mississippi State. Track and field athletes compete in the Baylor Invitational on Saturday, April 9, in Waco.